Raleigh, NC - The Catamounts travel to Raleigh on Saturday for an afternoon battle with the NC State Wolfpack. This will be the 14th meeting between Western and NCSU on the hardwood. The Wolfpack owns a 13-0 record against the Cats, the two teams having first met in 1975. If you'll recall, NC State traveled to Cullowhee on December 6, 1986 to dedicate the Ramsey Center - State won that first men's game in Ramsey by a score of 96-75, and the only game in the series to be held in Cullowhee in the series. NC State is 9-4 on the season, having beaten Campbell Thursday night by a score of 81-86. Both teams will enter Saturday's game riding small winning streaks, the Cats have won two-straight including a road win over Bradley and Wednesday’s beat down of UNC Asheville. NCSU has won three straight games, including home games over Northeastern & Campbell. This game is within the grasp of the Catamounts to win, if they hold on to the ball, limit turnovers, & those costly personal fouls. Unless this game is a complete runaway by either team, I expect referees to interject themselves into the game if the Cats are either in striking distance, or slightly ahead during the final minutes of the game, it will be home cooking at it's best. Don't forget, you can view the game on ESPN3 at 2 pm (EST). For more information on the game, follow the link below. A WCU student participating in the SoCon basketball blog contest has developed a blog called "The Cats Court". Your support of this blog would be greatly appreciated, you can help by subscribing to it, then follow the blog regularly and re-post it if you like. Nashville, TN - The Catamounts travel to Nashville, Tenn. tonight to play the Vanderbilt Commodores in the Memorial Gymnasium. This will be the second meeting between the two schools, with VU holding a 1-0 record. The teams met in the first round of the 2009 NCAA Tournament in Albuquerque, N.M., with the Cats losing 44-73. The Commodores are 11-1 overall and 8-0 at home. Vanderbilt returned to the Top 25 on November 28, off its win over No. 12/14 Oklahoma. The re-appearance marked the first time Vanderbilt had been ranked since the fourth week of 2010-11. For more information on the game, follow the link below. Cullowhee, NC - Building off a 40-25 halftime lead, the Catamounts dominated the Asheville Bulldogs in the Ramsey Center, Wednesday night by a final score of 86-67. Utilizing a balanced attack, the Cats had 4 players in double figure scoring. Harouna Mutombo led the Cats with 18 points, followed by Brandon Boggs with 17 points, and Keaton Cole with 13 points and Ishmael Hollis with 10 points. Approximately halfway through the first half, the Cats went on a 14-1 point run, pushing the score to 33-16 Catamount lead, heading to a 40-25 halftime lead. The Bulldogs never seriously challenged in the second half, and the Dogs never led the game after a 9-9 tie in the first half. This is a good win for the Cats over a solid team that is projected to win the Big South Conference. Coach Hunter and the Team will tip off against the Bulldogs of UNC Asheville at 6 p.m. Wednesday evening in the Ramsey Center. After coming off a 1 point victory against Bradley University on December 20th, the Catamounts look to continue their winning ways! 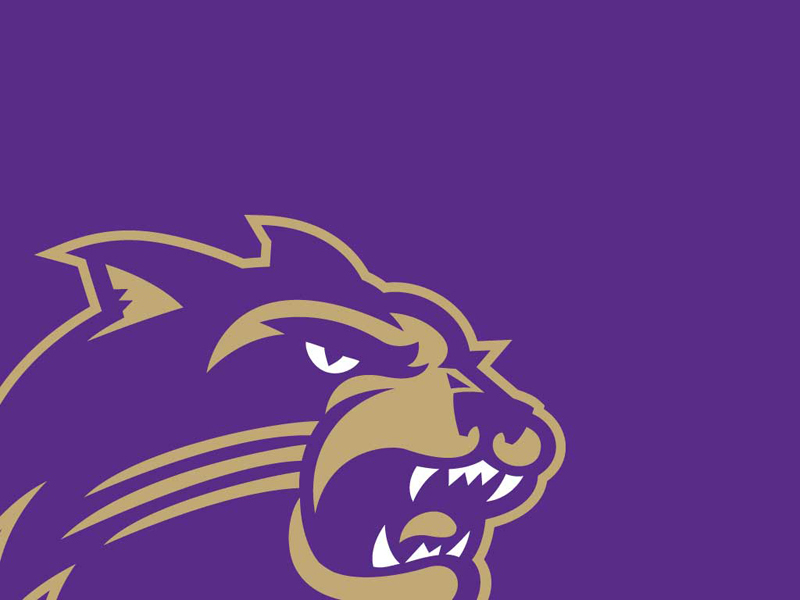 The Catamount Club will be hosting a Purple Zone Pre-Game event on the concourse of the Ramsey Center beginning at 5 p.m. New Athletic Director, Randy Eaton, and Head Football Coach, Mark Speir, will be in attendance. We hope to see everyone tomorrow for Catamount Basketball! Thank you for your continued support of WCU Athletics! It's time for week 8 of Scanning the SoCon. Cullowhee, NC - This Wednesday, December 28th, the Asheville Bulldogs will travel to Cullowhee for the annual meeting between the two mountain foes. In this the 43d meeting, the Catamounts are coming off a win over Bradley, while the Bulldogs are coming off a loss to Tennessee. Overall the Cats lead the series 23-19, with the Bulldogs winning last reason's game in Asheville, 85-79. The Bulldogs were projected to win the Big South conference this season and Asheville's senior guard Matt Dickey, picked as the Big South Preseason Player of the Year, is off to a good start, he is Asheville’s leading scorer with a 16.7 average (he’s scored double figures in the first 11 games of the season). The Bulldogs are 6-5 on the season, with wins over Mars Hill, Brevard, Utah, Gardner-Webb, USC Upstate, & Montreat College. However, they played very close games in losses to both Tennessee & Charleston. For more information on the game, follow the link below. Cullowhee, N.C. - Director of Athletics Randy Eaton announced he had selected Mark Speir as the head football coach for Western Carolina University at a press conference held in the Ramsey Center today. A native of Kannapolis, N.C., the Clemson graduate landed his first full-time coaching position in Cullowhee on Coach Hodgin's staff, working with the running backs from 1991-93, then the linebackers in 1994 before coaching the defensive line and serving as the program's recruiting coordinator from 1995-96. Coach Speir has a masters degree from Western Carolina. Welcome home, Coach Spear and family, we've been waiting on you. Peoria, Ill - Playing before a vocal crowd of 7100 in Carver Arena, the Catamounts swept the scheduled 3 game, 3 year series with Bradley, winning twice in Peoria, and once in Cullowhee. Keaton Cole's basket with 5.7 seconds remaining was the final margin needed to lift Western Carolina to a 68-67 road win at Bradley in a game that featured 15 ties and eight lead changes. The Catamounts halted a 2-game losing streak of close losses to Purdue and Kent State. Cullowhee, N.C. - Director of Athletics Randy Eaton will announce Western Carolina University's new head football coach during an on-campus press conference scheduled for 11:00 am on Thursday, Dec. 22, in the Hospitality Room of the Ramsey Center. The press conference will be streamed live through Catamount All-Access, and free streaming audio through CatamountSports.com, or on WWCU-FM, Power 90dot5 in Cullowhee. Peoria, IL - The Catamounts have been on a 10-day break for final exams, and returns to the court on Tuesday night as they visit the Bradley Braves. Tip-off at the downtown Carver Arena is scheduled for 8:00 pm ET will travel to Peoria, Illinois to meet the Bradley Braves, currently 5-5. The Braves kicked off the season at 3-0 run, then dropped 4 straight before beating Northwestern at home on Tuesday Dec. 6th. The Braves are currently 3-1 at home, with their only home loss comming at the hands of Wofford, 66-70. For more information on tonight's game, visit the link below. Infielder Ross Heffley has been named to the 2012 Louisville Slugger Pre-Season All-American first team as selected by the Collegiate Baseball newspaper. This is Heffley's second preseason All-America honor, as he was a third team selection prior to the 2010 season. Heffley is one of 4 student-athletes from the SoCon named preseason All-American. Last season, Heffley became the first Catamount since the 2007 season to win the school's Triple Crown for leading the team in batting average, home runs and RBIs, he also lead both the Catamounts and the SoCon in batting average with a .419 average. For more information, follow the link below. Point guard Trey Sumler has been listed as a candidate for the 2012 Bob Cousy Award. The annual award, recognizes college basketball's top point guard. "The list of candidates includes the top players from across the country that have shown the same leadership, hard work and determination that Mr. Cousy exemplified on the court for many years. We are excited to honor his legacy with the winner of this year's award." said John L. Doleva, President of the Basketball Hall of Fame. For more information on the award, and the list of candidaates, follow the link below. Cullowhee, NC - Tennis coach Chris Wollett announced his 2012-13 class, signing two players from Georgia, Nicole Nielly and Shannon Bettiol. "Along with their talent on the tennis court and excellence in the classroom, Shannon and Nicole bring positive attitudes that will only help our team excel," said Wollett. For more information on Nielly & Bettiol, follow the link below. Spartanburg, SC - Twenty-five student-athletes from Western Carolina was named by the SoCon to the Academic All-Conference team for the 2011 fall season. Western Carolina's Morgan Turner was one of seventeen SoCon student-athletes that have maintained a perfect 4.0 cumulative GPAs. To be eligible, student-athletes must carry at least a 3.3 cumulative grade point average entering the fall season and were required to compete in at least one-half of their team's competitions during the recently-concluded fall campaign. Also, the student-athletes must have successfully completed at least 24 credit hours in the previous two semesters. To see the WCU students named, follow the link below. After an 11-day hiatus from basketball, the Catamounts travel to Homewood, Alabama to meet the Samford Lady Bulldogs in a continuation of conference play. Samford holds a 6-2 record over the Cats, with the Lady Bulldogs winning the last five meetings between the two teams, Western's last win came in 2009, when the Cats beat Samford twice that seaon. The Lady Bulldogs were picked to finish 4th overall in the SoCon preseason basketball poll and currently are 4-4 overall on the season and 0-2 in the SoCon. The Lady Bulldogs have wins over Montana (59-45), Alabama St. (62-51), Jacksonville St. (73-40), and SEMO (63-58). Their losses have been to DePaul (9 points), WKU (1 point), Greensboro (8 points), and Elon (25 points). Paige Anderson is the leading scorer this season, with 11 points per game average. Franklin High School senior Lindsay Simpson became the 10th Western North Carolina girls high school basketball player to score 2,000 points in a career. Simpson accomplish the feat Tuesday night as Franklin beat visiting Pisgah, 61-56, scoring her 2,000th point just four minutes into the game. School officials halted play so Simpson could be photographed and presented the game ball. Lindsay has signed to play basketball for Western Carolina University next season. Randy Eaton, the just appointed Athletic Director for Western Carolina University, told the Asheville Citizen-Times that he started "formulating a list of prospective head football coaches for Western shortly after a search firm contacted him about the job." I love the confidence he projects, and planning ahead for a job he had not been offered. I think he can take athletics at WCU to a new level. If he's successful in hiring a football coach that can turn around the win/loss record of WCU football, it might be hard for the university to hold on to him. So, he has lots riding on this hire, “It’s my decision,” Eaton said. “Chancellor Belcher has made that perfectly clear.” There will be no place to hide if his new coach can not right this ship, that we call WCU football. Charlotte, NC - The North Carolina Collegiate Sports Information Association has named Samantha Hodge to the All-State women's soccer team. No other players from a SoCon team in NC was named. Hodge, already named to the Capitol One District III All-Academic First Team, led the Catamounts in goals scored, assists, and points. The Kentucky native notched a team-leading two game-winning goals, scoring game clinchers against UNC Asheville and The Citadel. She serves as the Vice-President of the Student Athlete Advisory Committee (SAAC), and helped organize pink games for all WCU sports that will be carried out throughout the 2011-12 seasons. Cullowhee, NC - Randy Eaton is the new director of athletics at Western Carolina University. Eaton's appointment, effective Dec. 14, follows a national search conducted by a search committee working with the assistance of Todd Turner of Collegiate Sports Associates. Chancellor David O. Belcher introduced Eaton in a press conference the Hospitality Room of the Ramsey Center. "When I talked with the members of search committee last month, I asked them to find someone who is a true leader - someone who has the capacity to hire, retain and mentor excellent coaches, assistant coaches and other athletics staff. I charged them with identifying a director of athletics candidate who shares Western Carolina University's core values of excellence, student success and external focus. I am extremely pleased that the committee has found just that person in Randy Eaton," Belcher said. Greensboro, N.C. - Mike Dement is no longer the head basketball coach at UNC Greensboro, effective immediately, per a press release from Spartan Athletic Director Kim Record. "In the interests of the long-term health of the men's basketball program, Mike and I have agreed that a change is necessary in order for the program to move forward," said Record. "Coach Dement has always exhibited the highest ethics and put the program before himself. He has been professional and committed to leading our efforts to enhance men's basketball with the program's move to the Greensboro Coliseum and the nonconference scheduling philosophy put in place over the last three seasons. We thank him for his contributions to UNCG's basketball program." Assistant coach Wes Miller has been named as interim head coach for the remainder of the season. "The Southern Conference is delighted to again work with the same group of broadcast partners for our basketball Game of the Week beginning in January," said Southern Conference Commissioner John Iamarino. "This partnership gives us outstanding reach in our conference footprint while still affording viewers outside the region the opportunity to watch live through ESPN3 as well as the public television websites." Games will be available in Georgia on the GPB Knowledge channel as well as WUGA, and distributed throughout South Carolina on the South Carolina Channel. North Carolina viewers can find the games on UNC-EX, the Explorer Channel. WTCI, a public television affiliate in Chattanooga, Tenn., will carry the games as will WABM, a commercial station in Birmingham, Ala.
Jan. 7 Georgia Southern at Davidson 3:00 p.m.
Jan. 14 Chattanooga at Samford 3:00 p.m.
Jan. 21 Western Carolina at Appalachian State 3:00 p.m.
Jan. 28 Wofford at College of Charleston 3:00 p.m.
Feb. 4 Greensboro at Furman 3:00 p.m.
Feb. 11 Davidson at College of Charleston 3:00 p.m.
Feb. 18 Western Carolina at Elon 3:00 p.m.
Feb. 25 College of Charleston at The Citadel 3:00 p.m.
Cullowhee, NC - Western Carolina University will introduce its next director of athletics to the media and the public during a press conference scheduled for 11:00 am Wednesday, Dec. 14, in the Peele, Westmoreland Suhre, Hartshorn Hospitality Room of the Liston B. Ramsey Regional Activity Center. The event will include remarks from WCU Chancellor David O. Belcher; Shea Browning, the chair of the athletics director search committee; and the new leader of the Catamount athletics program. Light refreshments will be served. Wednesday's press conference will be streamed live through Catamount All-Access and will be made available free of charge online through WCU's official athletics page, www.CatamountSports.com. A community meet-and-greet session will also be held at 6:00 pm on Wednesday, Dec. 14, at O'Malley's of Sylva. Cullowhee, NC - The Cats lost a heart breaker to Kent State on Saturday night, falling 58-56 to the Golden Flashes at the Ramsey Center. Michael Porrini marked his return to Cullowhee by scoring five critical points in the closing minutes of the game, a layup for a three-point play and two clutch free throws with just 12 seconds on the clock that helped the Golden Flashes steal a win from his former team. Harouna Mutombo led all scorers with 21 points and Trey Sumler put up a season-best 19 points in the loss. The game was tied a total of seven times with 14 lead changes, eight in the second half. The loss snapped a WCU 10-game home game winning streak against non-conference foes in the Ramsey Center. 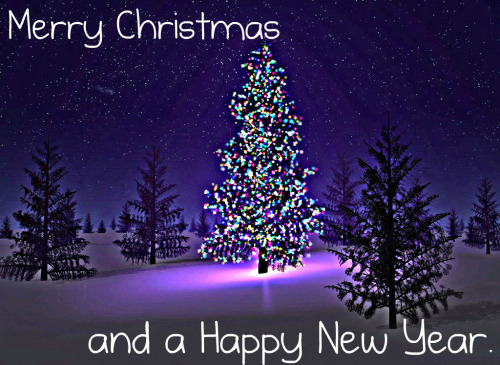 The Catamounts will now break for final exams, and returns on Tuesday, Dec. 20 playing the Bradley Braves. Tip-off is scheduled for 8:00 pm ET. 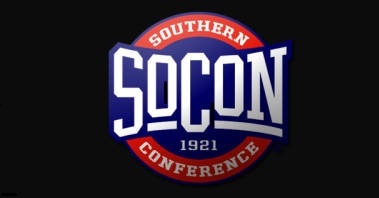 This Saturday, seven SoCon teams will be in out of conference action. This is an ideal day for the SoCon to help itself in overall RPI, which currently stands at #26 out of 32 conferences. In four of the games, the competition has a lower RPI than the SoCon team: Kent State (70) at Western (211); ETSU (257) at ASU (334); GSU (229) at EKU (210), Chattanooga (330) at Mercer (115). Each one of these games is winnable by the SoCon, it's time to step up, and get the job done. Hopefully, Davidson (34) takes care of UNC-C (158), then Samford & Wofford easily handle their non DI competition. The SoCon will remain in the bottom third in RPI, until we start winning these type games. Cullowhee, NC - The Golden Flashes will visit Cullowhee for the first time this Saturday. While this will be the third meeting between Western and Kent State on the basketball court, both previous meetings were in Kent, Ohio. Western holds a 1-1 record with the Flashes, winning the first meeting in over time 84-89 (in 2008) then losing the second meeting 74-72 (in 2010). The Flashes are 6-1 so far on the season, with their only loss coming at the hands of Cleveland State (9-1, Horizon League), by a score of 57-53. Kent State has wins over West Virginia, Alcorn State, Louisiana, Morehead State, UAB, & James Madison this year. Catamount fans will remember Michael Porrini. He was recruited by Coach Hunter and spent most of his freshmen season at WCU. He played for Gulf Coast College after leaving Western, prior to transferring to Kent State for his junior season. Now a senior and starting guard, Porrini was the MAC Defensive Player of the Year last year. Follow the link below for more information on this game. Cullowhee, N.C. - Western Carolina men's and women's basketball programs will welcome home basketball alumni at two upcoming reunion events. The Catamount men welcome home former players on January 13-14, and the women will host its alum on January 28 for reunion activities. The Catamount men's basketball reunion opens on Friday, Jan. 13th as alum are welcomed to the afternoon practice session which will be followed by a visit with the current coaches and players in the Ramsey Center Hospitality Room. At 7:30 pm, former Catmount players participate in an Alumni Basketball game. On Saturday, reunion guests will get a behind-the-scenes look at the Catamount locker, team and film rooms and auxiliary gymnasium, followed by a tour of the campus. Participants will then be the special guests of the Catamount Club's "Purple Zone" hospitality event held on the main concourse of the Ramsey Center beginning at 12:30 pm ahead of the 2:00 pm tip-off against, Furman. Two weeks later on January 28th, the WCU women's basketball program welcomes home former players for its reunion weekend. Festivities for the event on Saturday, follows a similar format with a facility and campus tour preceding an invitation to the Catamount Club's pre-game "Purple Zone" event. At 2:00 pm, the Catamount women battle the Wofford Terriers. For more information regarding the WCU men's and women's basketball reunions or to RSVP, please contact the Catamount Club office at (828) 227-3047 or jfisher1@email.wcu.edu. West Lafayette, Ind - The Catamounts went into the locker room holding a 29-21 edge over the Boilermakers at half-time, but a 10-0 run to start the second half by Purdue, allowed the Boilermakers back into the game. From that point, it was a hard fought battle until the end of the game. The Cats were able to fight back to within four points several times in the final minutes of the game, but could get not match Purdue's points, as the Boilermakers were able to hold on at the free throw line. "I'm proud of the effort we gave tonight. I thought we competed very, very well - we're growing," said head coach Larry Hunter. "We had way too many turnovers tonight, had some sloppy execution at times, but we kept battling defensively. I thought we were terrific in the first half defensively. They got into us with dribble drives, got themselves to the foul line quite a bit in the second half. We struggled because we had some key people out with foul trouble and had some slippage offensively." The Cats returns to home this Saturday, hosting the Kent State Golden Flashes. Tip-off in the Ramsey Center is 2:00 pm. West Lafayette, Indiana - Purdue and Western Carolina will have their third-ever meeting on Wednesday, December 7 at 7:30 p.m. (EST), in West Lafayette, Indiana. The Boilermakers currently own a 22-game winning streak at home at the Mackey Arena, are a perfect 2-0 against against the Catamounts. This season Purdue is 7-2 overall, with a 5-0 record at home in Mackey Arena. The Boilermakers' two losses were to Alabama (65-56) and Xavier (66-63). Through the first eight games of the 2011-12 season, the Boilermakers are 74-of-192 from three-point range, for 38.5 percent. Purdue has made at least 12 triples in four games, and is 22-4 (.846) under head coach Matt Painter when making at least 10 three-point field goals in a game. Senior Ryne Smith has made 28-of-55 (.509) from deep (three point range), and leads the Big Ten with an average of 3.5 treys per game. Robbie Hummel is 22-of-49 (.449) from the arc on the season, and ranks third in the conference at 2.8 triples per outing. For more information on this game, follow the link below. Cullowhee, NC - Head baseball coach Bobby Moranda has released the 2012 Western Carolina baseball schedule. The season opens at home with a three-game series against Fordham on February 17-19. The schedule includes seven, three-game weekend home series, as well as home-and-home meetings with Clemson, Georgia, East Tennessee State, and Asheville. "We've got to be ready to come to play every day," said Moranda. "We've taken a team approach ever since the last pitch of last year's SoCon tournament in getting ready for 2012. I'm really looking forward to watching our sophomore class play as second-year players. You could tell when they arrived back in the fall that they had matured a lot from last season. The young guys that were every-day players in our lineup a season ago really got a lot of good experience." "We've got some role players that are ready to make the next step - raise their game another level towards being big contributors for us this season. I think we're coming together. We will be young on the mound, but will pitch to contact and let our defense work for us. Offensively, I think we'll be able to score some runs with a good mix of righty and lefties." Moranda added. Click on the link below to see the entire schedule. ASU extended its winning streak over the Cats in women's basketball to 6 tonight in the Ramsey Center. A 36 point beat down by the Mountaineers, makes the Cats losers of the last 5 out of 6 games this season, and results in a 4-5 overall record (0-2 SoCon). It will not get a lot easier this Saturday for the Catamounts, as the Cats travel to Samford. DavidsonCats- A Davidson Wildcats fan. MocsMania- A Chattanooga Mocs fan. TheSportsArsenal- The Citadel Bulldogs fan. UNCGBasketballFan- A UNCG Spartans fan. The Mountaineer women's basketball team travels over the mountains tonight to meet the Catamounts. This will be the 89th meeting of the two women's teams on the court, and the Cats are 34-54 all-time against ASU, with the Mountaineers having won the last four-straight games. The Mountaineers are 5-1 (1-0 SoCon) coming into the game, with their only loss at Virginia (48-80). ASU has wins over Gardner-Webb, ETSU, EKU, Georgia State, and Georgia Southern. The Mountaineers are avering 69 points per game (58 for the Cats) while allowing only 58 points per game (60 for the Cats). Both teams are giving up a lot of turnovers, 19 for ASU and 20 for the Cats. This will be a difficult game for the Cats. For more information on the game, follow the link below. Cullowhee, NC - Lead by redshirt senior Harouna Mutombo's 18 points, the Catamounts edged the Spartans of UNC Greensboro for a 73-69 victory Saturday as part of a double header in the Ramsey Center. In the hard fought game, the Cats out rebounded the Spartans 40-37 & outscored them 15 to 10 off turnovers. Once again the bench was instrumental in a Catamount win, with the Cats getting 20 points from the bench, opposed to Greensboro's 11 from their bench. Boone, NC - The Catamount indoor track and field teams participated in the Appalachian Indoor Invitational on Friday & Saturday, and hauled in 27 top-five finishes along with four first place wins. The season opening meet featured a total of 16 teams, with ASU, Wofford, and WCU being the only SoCon participants. Click here for the complete meet results. Cullowhee, NC - The Catamounts dropped their conference opener to Davidson by a score of 64-46 on Saturday in the Ramsey Center in front of a home crowd of 257. The Cats had 22 turnovers that resulted in 20 points for the Wildcats, combined with shooting an anemic 35% from field goal range sealed the fate of the Cats. Western has now lost four of the last five, and will face the hot shooting Mountaineers on Monday night, who are 5-1 on the season. Cullowhee, NC. - Head baseball coach Bobby Moranda announced the addition of Bruce Johnson to his full-time coaching staff. Johnson spent the past two seasons as a volunteer assistant and as the head coach of the Wilson Tobs (of the Coastal Plain League). A 2009 graduate from Western Carolina, he officially started as an a full-time assistant on December 1, 2011. "I am honored to have Bruce - another WCU graduate - as a full-time member of my coaching staff," said Moranda. "This is a well deserved promotion for he has paid his dues as both a student assistant and volunteer coach over the past four seasons. His enthusiasm and love for the Catamount baseball program run deep within both he and his family." 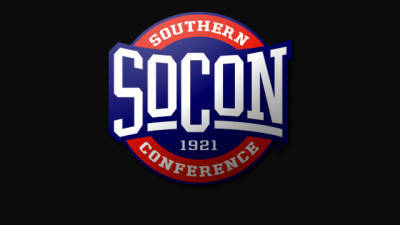 Spartanburg, SC - The SoCon has announced an opportunity for students from SoCon member schools to be part of the 2012 Southern Conference Basketball Tournament by keeping a blog about their favorite SoCon men's or women's basketball team. The grand prize will be awarded to two people (one for a men's team blog and one for a women's team blog) who submit the best blog series. The grand prize winners will be the official bloggers for the SoCon Men's and Women's Basketball Championships in Asheville. For more information on the SoCon Basketball Blog Contest, including an entry form and official rules click here. Boone, NC - The men's and women's track & field teams are began their 2011 indoor campaign Friday at the Appalachian State. "We always look towards the opening competition of the season as it finally gives our athletes a chance to see what the preseason training has done for them in terms of raising their standard and level of performance at the collegiate level," said head coach Danny Williamson. Greensboro travels to Cullowhee on Saturday to meet the Cats as the second half of a double header to be played in the Ramsey Center. It is also the second conference game for both teams. Saturday's game is the 38th meeting between Western Carolina and UNC Greensboro, with the Catamounts holding a 22-15 advantage in the overall series. The Cats swept all three meetings with the Spartans last season, including a 77-66 win in the SoCon Tournament. Greensboro hasn’t won in the Ramsey Center since the 2008 season. The Spartans enter the game with a 2-5 overall record, and are 0-1 in the SoCon. Greensboro has wins over Pembroke and Towson and losses against Tennessee (92-63); Georgetown (86-45); Middle Tennessee State (82-60); North Carolina A&T 87-65; and Appy State (78-64). For more information on the game, follow the link below. The Catamounts return to the friendly confines of the Ramsey Center to open their SoCon schedule as part of a Saturday double header. Tip off is at 2 pm against the Davidson WildCats. The Catamounts lead the overall series with Davidson 25-20, with the two teams spliting their two-game series last season. Western Carolina won in Cullowhee 60-48 and the Wildcats won at Davidson 65-56. Davidson enters the game with a 3-4 record, with 3 home wins and 4 road losses. The Wildcats had home wins over Mercer (75-60); Gardner Webb (67-46); and Winthrop (80-65), as well as, road losses to Clemson (62-72); High Point (69-82); Princeton (45-53); amd Duquesne (53-84). For more information on the game, follow the link below. Cullowhee, NC - Head men’s golf coach Carter Cheves announced that Tyler Lail (Conover, N.C. / Bunker Hill HS) signed a National Letter of Intent to play golf for the Catamounts starting in the 2012-13 season. As of the most recent rankings released in early November, Lail ranks 28th among all boy’s golfers in the state of North Carolina. "We are excited to add Tyler Lail to our roster. We have a lot of talented players returning next season and Tyler will add quality depth to our team,” said Cheves. “He is an excellent putter and has played an extensive junior and amateur schedule to prepare his self for college golf." Conference play opened last night in the SoCon with Furman traveling to Elon. The Phoenix pulled out the win in front of 958 fans, by shooting 46% field goals to Furman's 39%. Tonight, the remainder of the conference is in action, with five games scheduled. Along with the Cats traveling to Samford, Chattanooga is at Georgia Southern, the Citadel travels across town to Charleston (ESPN3), Greensboro is at Appy State, and Davidson is at Wofford (ESPN3). My picks are in bold.